The road to Piekenierskloof is an interesting one. Take the N7 out of Cape Town and head north for a couple of hours, skirting the towns of Malmesbury and Picketberg. Beyond there, the road starts to climb and wind up the slopes of the Piekenierskloof Pass. At the summit there’s a left turn and from this point onwards it’s a dirt road, which rises to the edge of the Cederberg mountain range. 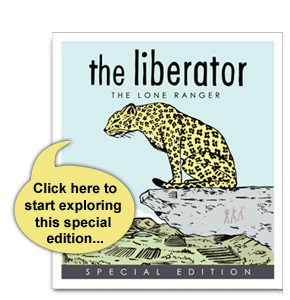 It’s here, after some thirty Kilometres, that you might just encounter The Lone Ranger. It’s a remote spot, cold, misty and rainy in winter, perhaps mixed with some snow too. Summers are long and tempered by the cool influence of the South Atlantic breeze, ensuring the resulting wines are bright, fresh and demonstrate incredible clarity. This is an extreme place to chance with viticulture; the previous owners of this original Sandveld farm had literally abandoned their old Chenin vines in favour of citrus, rooibos and boegoe. Historically, these grapes would have been delivered down the mountain to the local Citrusdal co-operative where, at best, they would have been converted into serviceable, if unexciting, white wine which would have then been sold off to one of the large negociants. At worst, they would be committed for distillation and aged as brandy. 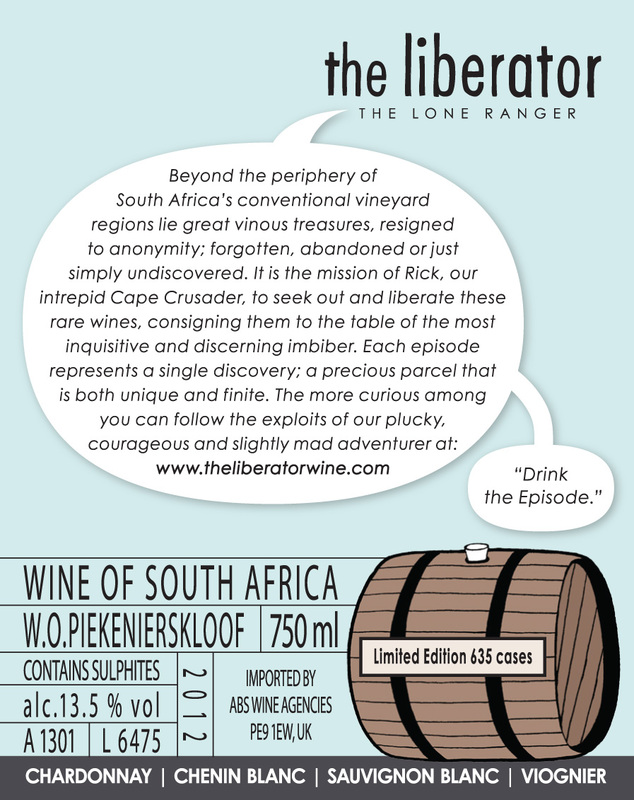 The demise of the old co-op and a less unregulated industry, combined with the enthusiasm of the new generation of ‘rock-star’ winemakers determined to source the best possible fruit, have changed the fortunes of regions like the Piekenierskloof within the past decade. Old vine Grenache is now a prized commodity, along with once written-off varieties such as Clairette, Cinsault and, of course, Chenin Blanc. Rick first travelled the road to Piekenierskloof in late 2003, having tasted the fermenting juice of what was described to him as ‘bonsai Chenin berries’ the previous autumn. 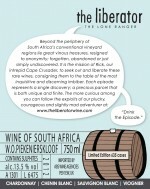 The grapes had been trucked down to Stellenbosch as a favour and had entered the cellar of a mutual friend. Intrigued by the story and with the promise of rediscovering some lost vineyards, our Cape Crusader set off his is standard issue Toyota Corroded hire car in search of the Lone Ranger who had brought these vines back to life. What he found was a revelation; not only old vine Chenin, but new plantings too, of Chardonnay, Sauvignon and Viognier, with a smattering of Grenache and Mourvèdre for good measure. It was only after numerous visits made, over the course of the first few vintages, that it became clear to Rick that the wines which could best express the integrity of this special site wouldn’t necessarily come from a single grape, but rather expounded by the natural influences on all the various varieties that are grown. As for the winemaking, the Chardonnay and Viognier were co-fermented in stainless steel, with the later blending of the tank-fermented Chenin and the Sauvignon Blanc which had been barrel-fermented; all using indigenous yeasts. After a further two months on its lees the wine was bottled in June 2012. 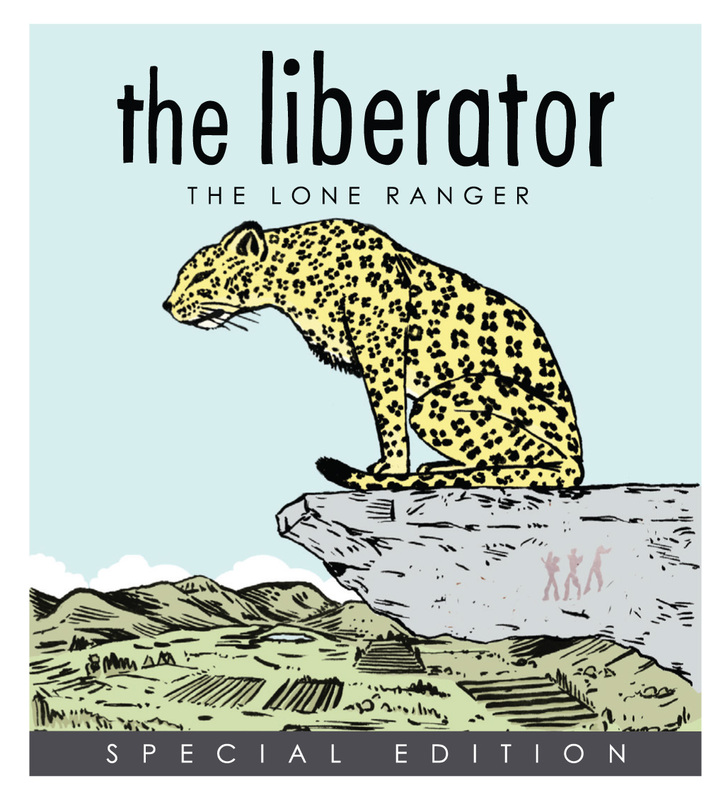 The complexity found within The Lone Ranger is defined by considering the holistic view of its provenance and the various elements that helped to create a wine that is significantly greater than the sum of its parts. For those who need to be reassured of its ‘window of drinkability’, the answer is; who knows…? Rick, for one, will be keen to see how this inaugural release will evolve and age over the coming months and, hopefully, years. Rooibos – Perhaps more likely to be known to you as Red Bush. Rooibos is a broom-like member of the legume family and thrives as part of South Africa’s native fynbos, although its distribution is limited to small areas of the Western Cape. Its scientific name is Aspalathus linearis, after the bush’s linear growing structure and needle-like leaves. The plant is used to make herbal tea, and it is usually prepared in the same manner as a ‘normal brew’ by the addition of milk and sugar. Options include adding a slice of lemon and using honey instead of sugar to sweeten. During processing, the leaves are oxidized, a practice often (inaccurately) referred to as fermentation (an analogy with tea-processing terminology) and it is this process that produces the distinctive reddish-brown colour of rooibos and helps to enhance its flavour. Boegoe – (Agathosma betulina or, in English: Buchu) is a traditional healing herb which is also part of the fynbos kingdom of plants. It is endemic to the south-western Cape and incredibly site specific, which accounts for why its oil was once worth its weight in gold. 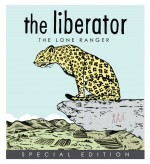 Have just ordered ‘The Lone Ranger’ from the Wine Society because the name and source intrigue us. Looking forward to trying it and testing a friend’s tastebuds. By the way, the alternative spelling of ‘Cinsault’ may have come from the old French vines planted at the Cape by the Huguenots.